First of all, and probably most important to the largest number of festival attendees, Nissan will be offering free parking for all pickup drivers. We hope Nissan realizes exactly how many people that applies to, as Texas is known for its love of pickup trucks. The lot Nissan has created is on the corner of 2nd Avenue and Ash Lane. If you’re from Dallas, then you know that the lot is only about two blocks from the fair gates. The parking spots are large enough to accommodate trucks of every make and model, and of course the lot will be staffed with security and Nissan product specialists. You know, in case you want to buy a new Nissan truck anytime soon. 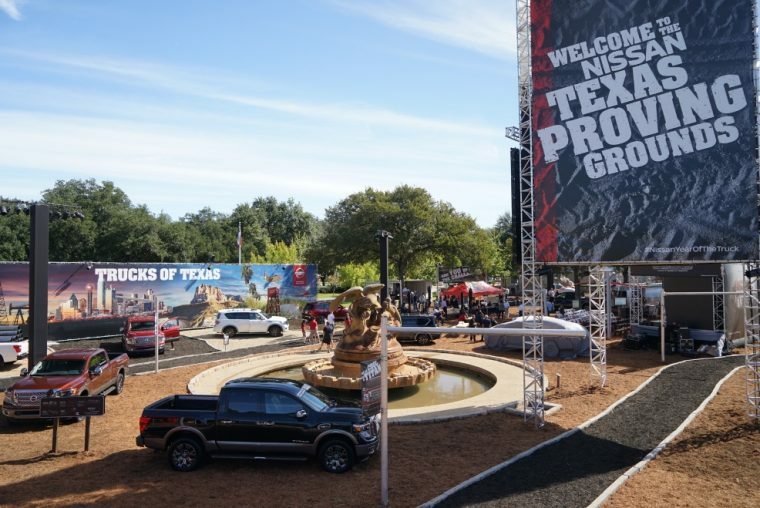 Once inside the fair, attendees can visit the Nissan TITAN of Texas Challenge, where athletes who feel bold enough can take on past contestants on the American Ninja Warrior television show for a piece of a $65,800 prize. With seven obstacles inspired by the Nissan truck lineup, the course promises to be difficult for anyone that decides to run it. The overall winner of the event will take home the title “TITAN of Texas” and, more importantly, $15,000. Nissan is also sponsoring non-truck related parts of the fair, like a Heisman Trophy winner meet-and-greet, a viewing party for the Red River Showdown on Saturday, October 8th, and a country concert. These all seem like things that Texans will really enjoy, so we wish Nissan the best of luck.